Do you find yourself suffering from chronic pain? Or, how about that exasperating headache you’ve been dealing with for over a week now. Have you ever thought about trying acupuncture treatments? Well, here at Caron Chiropractic Clinic, St. Paul, MN we specialize in alternative health therapy. You are not just a patient. You are an individual with a unique set of needs; each need is treated differently and with care. Not only can we treat your pain, we can help you to prevent illness in the future. Here is a brief look at one of our treatments that can initially help you through those long days of work with that exasperating headache or that wrist that aches from all that typing you do – Acupuncture. Acupuncture has been dated back several thousand years ago and has been found to have originated in China. Back then, they used sharpened stones and bones. Doesn’t sound comfortable at all, does it? Well, thanks to our growing technology and healthcare over the centuries you’ll no longer have to get poked with sharpened stones and bones. 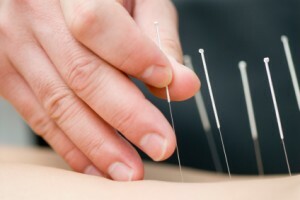 As you know, acupuncture has evolved over the centuries, as new ideas and new schools of thought have been discussed. Chinese medicine spread to neighboring countries, and each country developed different aspects of the therapy. You can definitely say acupuncture has received several “2nd Opinions”- Which makes acupuncture more safe, more effective, and more relaxing than ever before. Acupuncture has real effects on the human body. Over the years, skepticism has played a huge part of the success of acupuncture. Scientists back in the 18th and 19th Centuries didn’t have the technology we have today to determine if acupuncture treatments did anything to the human body. Luckily for you, scientists today all over the world document the process and end result using high-tech tools, such as Neuroimaging, Doppler Ultrasound, and Thermal Imaging. Neuroimaging studies show that acupuncture calms the areas of the brain that register pain and activate those involved in rest and recuperation. Doppler Ultrasound done after an acupuncture treatment shows the increase in blood flow. Thermal Imaging shows that acupuncture can make inflammation subside. good stretch at home, acupuncture can get in there deeper for a more relaxing and a much more beneficial stretch. Although you’ll feel relief after one visit, it’s much like everything else. Rome wasn’t built in one day, and your relief isn’t going to be fixed in one day. But, at Caron Chiropractic, you’ll be one day closer to the relief you’ve always wanted. Contact us today for a consultation an be one step closer to improving your health and getting you back. Call Caron Chiropractic at 651-255-9999 today. We are happy to answer any questions you may have. This entry was posted	on Thursday, August 21st, 2014 at 9:22 pm	and is filed under Acupuncture. You can follow any responses to this entry through the RSS 2.0 feed. You can leave a response, or trackback from your own site.